You are here: Home / Movie Reviews / Power Rangers Movie Review!! What were your thoughts on this film?? 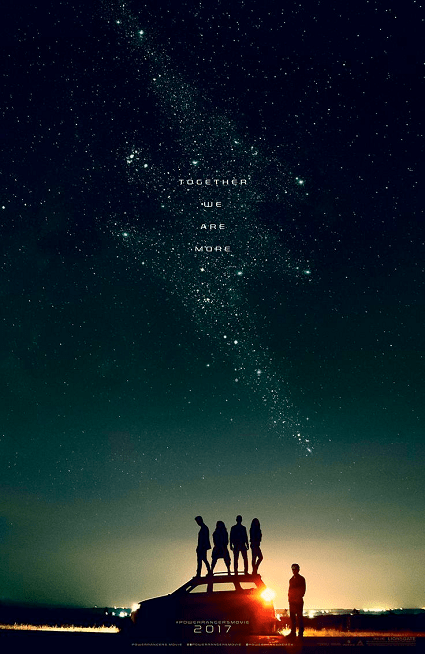 This version ofÂ Power Rangers is a reboot story based on The Mighty Morphing Power Rangers television series.Â The visual effects used for the movie brought the Rangers up to date with the other super teams in cinema. There were some changes made in character profiles, only to separate this film as a new entity to the franchise. Instead of being the creator of the Power Rangers, ZordanÂ was the original Red Ranger. He died protecting the Zeo Crystal by sending a meteor shower to Earth. This incident was the “so-called” reason for the death of the dinosaurs. The consciousness of Zordon was preserved within his spaceship, only to be reawaken as a three-dimensional projection of his facial likeness. Uploading his consciousness within a computer interface is a similar method used by Jor-El in Man of Steel or Dr. Will Caster in Transcendence. Once the teenagers open the Morphin Grid, Zordon would be able to be restored in a physical body. Was there a body for him to put his consciousness in or would he have taken one of the new Rangers as a host? The new armor designs were sleek, veryÂ reminiscent of the Iron Man armors. We get to see for the first time how the Rangers morph into action. We see the armor coming out of the body in an electricalÂ silhouette, which is pretty cool! The armors wornÂ by these Power Rangers seem to work similar to the armor found in the movie Max Steel. The Zords were also upgradedÂ in appearance and function. In the original TV series, the ZordsÂ are controlled with the Power Crystals of their Ranger and weren’t seen fighting individually. These Zords of the 2017 version, are designed to link with the armor of the Ranger, connecting them as one being. We didn’t see how the Zords Â combine into the MegaZordÂ exactly like on the television series but the way the Megazord maneuvers in action reminds fans of the Jaegers in Pacific Rim. Thoughts of Transformers arouse, but do you think the MegaZord would stand a chance against a robotic life form like Megatron?Â Highly unlikely….. This film portrayedÂ RitaÂ as the original Green Ranger, who betrayed her team for gain greater power through the Zeo Crystal. Zordon attempted to destroy her with the meteor shower shown in the beginning, but she survived only to continue her mission for power.Â Goldar is introduced as a giant molten gold behemoth, which served like a MegaZord for Rita. In the original tv series, Goldar was an ape like humanoid that wore golden armor and resembled a smaller version of Oozaru. In the ending credits, its suggested that a new Green Ranger will take Rita’s place. Will the franchise stretch far enough to get a White Ranger as well? Who are the others that Rita spoke of that will come for the crystal as she did? To date Power Rangers grossed $117.8 million dollars from a budget of $100 million. There were many mixed reviews about this film, leaning more negative than positive. This could be due to the changes made to the character profiles as stated in this post. Minus these alterations, this film was action packed with elements of humor and thriller. It’s statedÂ that the Power Rangers could have multiple films in the future.Â Â Is this still possible after just 17 million grossed on this feature? ?